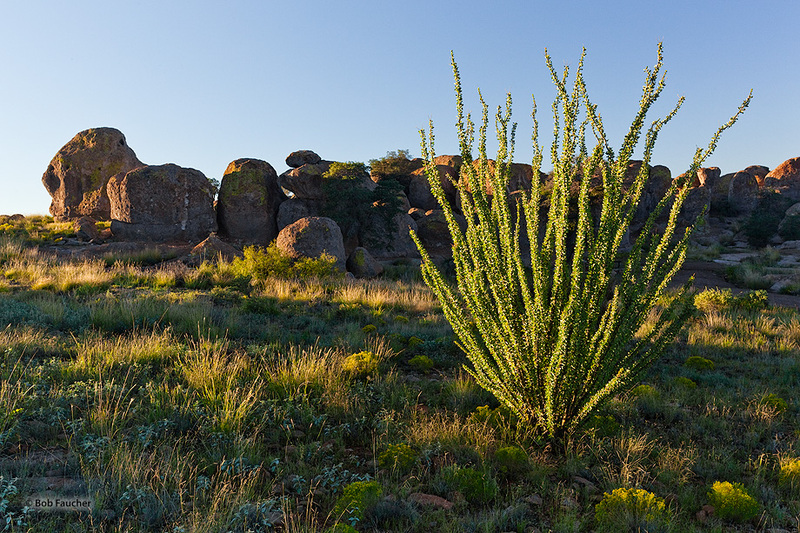 First light of morning catches some of the boulders of the City of Rocks as well as a flourishing ocotillo. Ocotillo (Fouquieria splendens) is not a true cactus, but a deciduous, drought-tolerant shrub. For much of the year, the plant appears to be an arrangement of large spiny dead sticks, although closer examination reveals that the stems are partly green. With rainfall the plant quickly becomes lush with small ovate leaves. Photo © copyright by Robert Faucher.